UC ANR scientists to provide information at the Malcolm Media Grape, Nut & Tree Expo at Fresno fairgrounds on November 14, 2017. Malcolm Media is providing three Ag expos this month: A tree and vine expo in Turlock was presented today; a grape expo will be in Sonoma on November 10, 2017, and a grape, nut and tree fruit expo will be at the Fresno fairgrounds on November 14, 2017. To pre-register, please use the above link. This blog article is on the November 14th expo in Fresno. 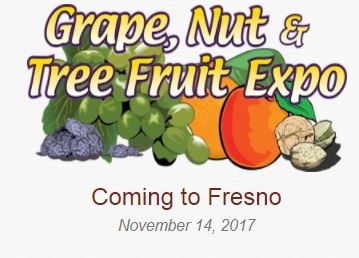 The Grape, Nut & Tree Fruit Expo is provided every year at the BIG Fresno Fair grounds. Held in the heart of grape, nut and tree fruit growing areas, the expo is sponsored by the Central Valley wine, table, and raisin grape, tree fruit and nut industries. UC ANR scientists involved with applied research and extension for these cropping systems will provide presentations to the attendees.  Malcolm Media's Grape and Nut Expo logo.